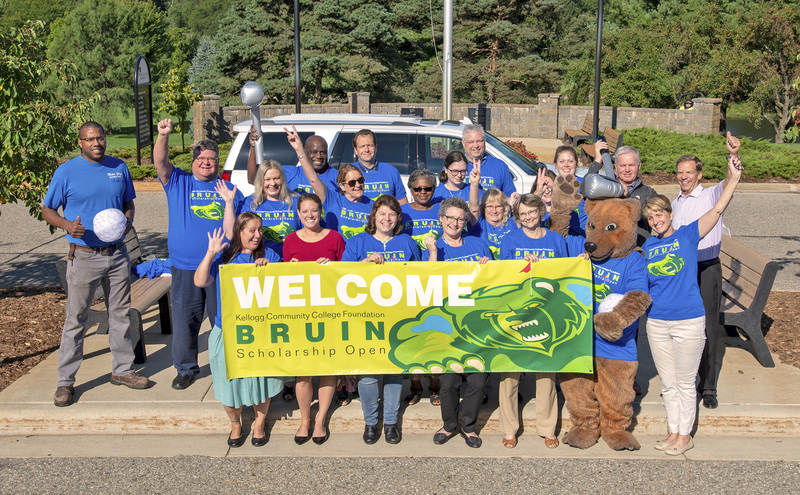 More than $100,000 in scholarship money was raised for Kellogg Community College students during the KCC Foundation’s 21st annual Bruin Scholarship Open in September. The annual event – held Sept. 7 at Binder Park Golf Course in Battle Creek – is the largest fundraising event of the year for the Foundation and has raised more than $1.2 million since its inception in 1998. A total of 58 teams participated and 126 sponsors were represented in the Bruin Open this year, which in addition to golfing included a raffle, special hole contests including the popular Money on the Green Putting Contest, live music and painting, lunch and dinner. The event was coordinated by more than 70 members of KCC’s staff, retirees, student-athletes and honor students. Funds raised at the event this year will help support approximately 70 student scholarships.